The Tongia communities were brought in by the erstwhile colonial government in the late 1800 and early 1900 to work in the forests located in the Himalayan foothills. With the passing of time, these communities permanently settled down in the area. 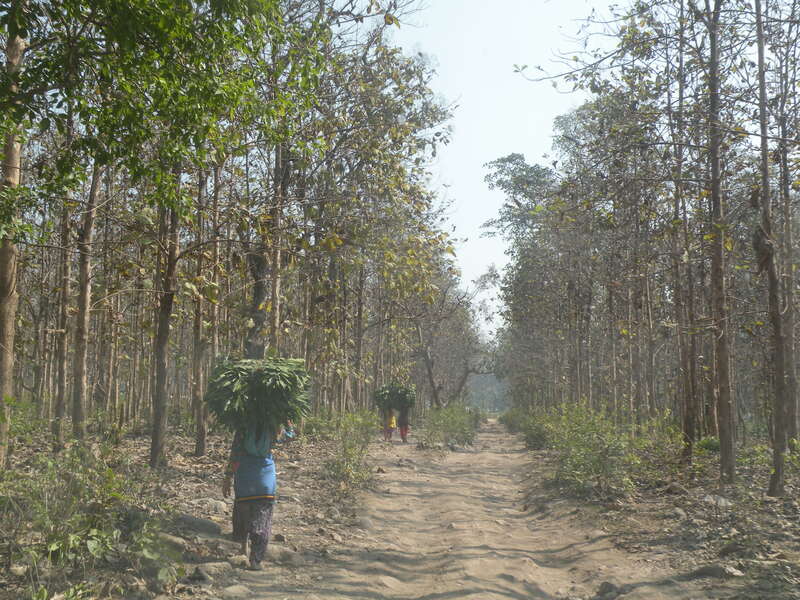 As the communities worked in the timber plantations in the forests, they were, in return of their labour, allowed to grow crops within the forest areas. Taking after the name of its people who’ve lived in the area for decades now, these settlements have come to be known as the Tongia villages. One such small village is Rampur Tongia – with an area of approximately 54 hectares, it is located in the Ramnagar Forest Division, in the mountain and largely forested state of Uttarakhand. The Corbett Tiger Reserve is located at a distance of approximately 25 km from this village – separated from Rampur only by the Kosi River. The forests of Ramnagar boast of a substantial population of iconic species such as tigers, leopards, elephants, nilgai, sambar and cheetal – and living with wildlife is a way of life for the people of Rampur. However, close proximity to the forests also makes these people vulnerable to conflict with carnivores, leading to loss of livestock and on occasion human death and injury, and wild herbivores leading to crop depredation. Such incidents result in significant financial losses to cattle owners and farmers, often leading to retaliatory killings of wildlife. Given the high density of tigers in Ramnagar Forest Division, close encounters with the carnivore are not uncommon in the village, increasing residents’ vulnerability to attacks. In a recent incident, a tiger was sighted in broad daylight by the students of a primary school near their school premises. “Once during recess, we stepped out of our class, only to see a tiger drinking water from a stream near our school”, said a 7-year old child, who studies in the Rampur Primary School. A study undertaken in 2015 showed that 63% of the households suffer from crop depredation, largely caused by wild herbivores such as elephants, nilgai, sambar, cheetal and wild pigs. Additionally, an average of 16 incidents of livestock depredation has been recorded in the village over a six year period beginning 2012. The dependence on forest resources for fuel-wood, fodder and livestock grazing by the 125 households of the village also increases the odds of coming face to face with wildlife. A survey undertaken by WWF-India revealed that approximately 212 tons of fodder is extracted annually from the forest by the villagers, and an average of 7.3 tons of fuelwood is consumed annually by each household. The need for fuel wood in the village remains high since it is not connected to the electric grid. 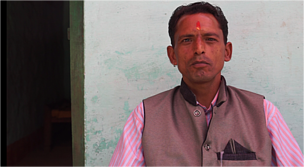 “I was attacked by a tigress last year. I, along with five of my neighbours, had gone in search of my cow that was killed by the tigress the previous day. My arm was severely injured as a result of the attack. 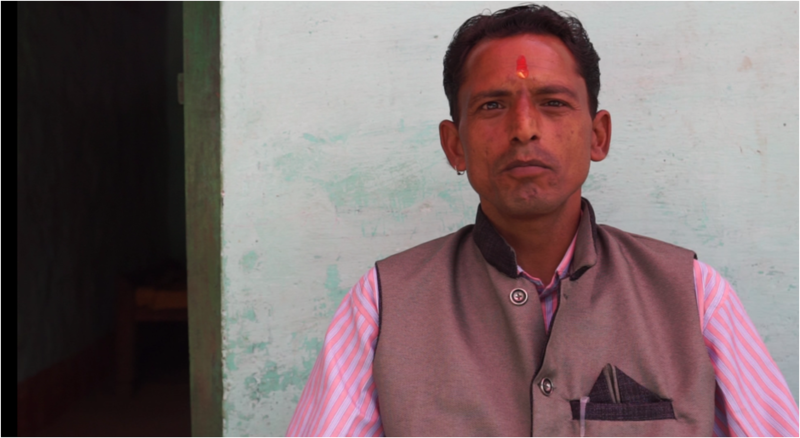 Fortunately, the village headman and WWF-India officials immediately took me to the Ramnagar Government hospital and my condition improved”, shares 40-year old Mahesh Chandra. 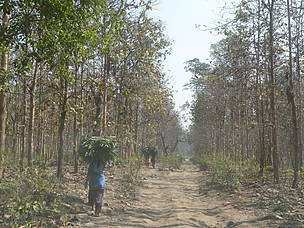 WWF-India began working in Rampur Tongia a year ago. The organisation premises its engagement with communities living in the proximity of forests and wildlife on the understanding that the latter pay a higher cost of conservation and that support for them and vice versa is vital if wildlife and their habitat are to be secured. 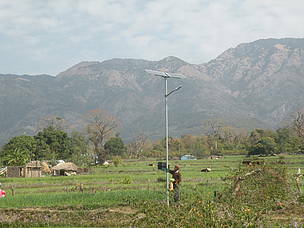 Solar home lights have been provided to all 125 households in the village where villagers also paid a part of the total cost. 30 additional solar street lights have been installed on the village periphery to increase visibility in forest fringe areas. Solar domes that can be used both during day and night have also been installed in 10 households. Moreover, 50 households have been provided with fuel efficient cook stoves to reduce people’s dependence on firewood. In order to increase availability of cultivated fodder, farmers are being trained to cultivate improved varieties of fodder, for which quality fodder seeds have been provided. In the coming years, WWF-India plans to implement the ‘Pro-Conservation Livestock Insurance Scheme’ in the village. The scheme has already been implemented by WWF-India in Dhela village, which is located in the buffer zone of the Corbett Tiger Reserve. 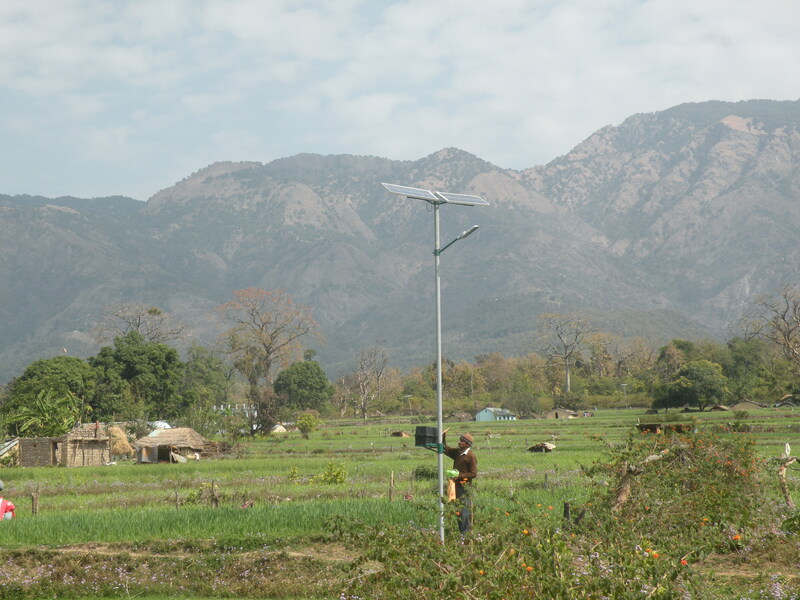 Installing low-cost non-fatal solar fences to secure farmlands and addressing the community’s energy and fodder needs are some of the priority action areas that WWF-India will be working on. In the village, the environment organisation has also formed a Self Help Group comprising of women, with plans to engage with even more and explore livelihood options that aim at increasing incomes and reducing excessive dependence on forests. The Ek Prithvi environment education programme, an initiative taken by WWF-India to actively engage with the young generation, has already been launched in the two schools of Rampur Tongia village.